Robotics-enabled technologies for assistive and rehabilitative applications have gained an increasing attention, both in academic and industrial research settings, as a promising solution for human sensory-motor system recovery. However, many constraints remain that limit their effective employment in everyday-life, mainly related to cost, usability and users’ acceptance. The Softpro project proposes to completely reverse such paradigm, starting from the analysis of the needs from patients and the careful investigation of the sensory-motor human behaviour, capitalizing on the framework of synergistic control and soft robotics. 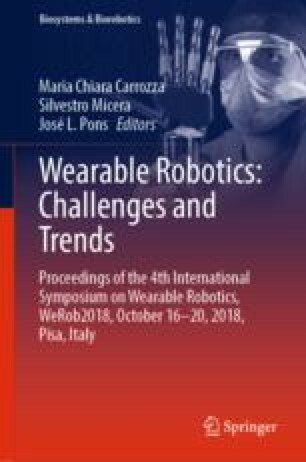 The final goal is to study and design simple, effective and affordable soft synergy-based robotic technologies for the upper limb, such as new prostheses, exoskeletons, and assistive devices which can be useful and accessible to a wide audience of users. To pursue such an ambitious objective, SoftPro has put together research groups who laid the neuroscientific and technological fundamentals underpinning the project approach, a net of international collaborations and numerous and qualified industrial partners, which is expected to produce a strong impact on both research and innovation. This research has received funding from the European Union’s Horizon 2020 Research and Innovation Programme under Grant Agreement No. 688857 (SoftPro). The content of this publication is the sole responsibility of the authors. The European Commission or its services cannot be held responsible for any use that may be made of the information it contains.